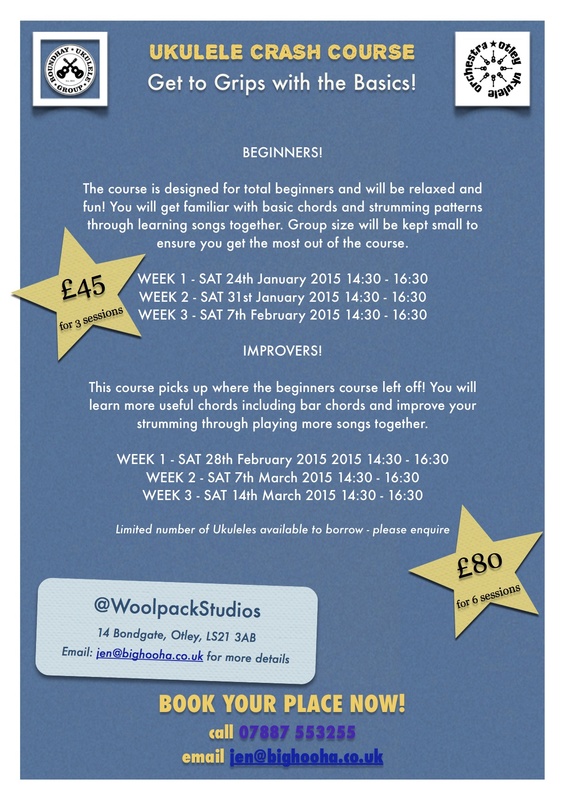 Two new nine-week courses are starting on Tuesday 10th January here at The Woolpack Studios, Otley. Ukulele for Beginners (7:15pm-8:15pm) is designed for total beginners and will get you strumming in no time! Ukulele for Improvers (8:30pm-9:30pm) is for those with a good grasp of basic chords in the C family (C, F, G, G7 and Am) but want to further their chord knowledge and strumming technique. For more details please see our BEGINNERS COURSES page! 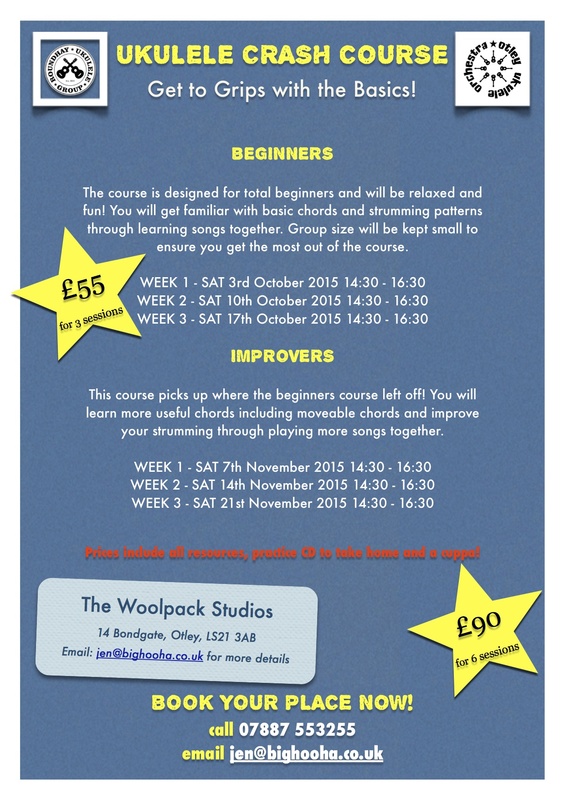 Do you know anyone who might like to learn the ukulele in the new year? This course is designed for people who want to carry on where the Beginners course left off. The course will be at the same pace and will hopefully build your confidence as a player. We will learn new songs too! UKULELE CRASH COURSE FOR BEGINNERS! 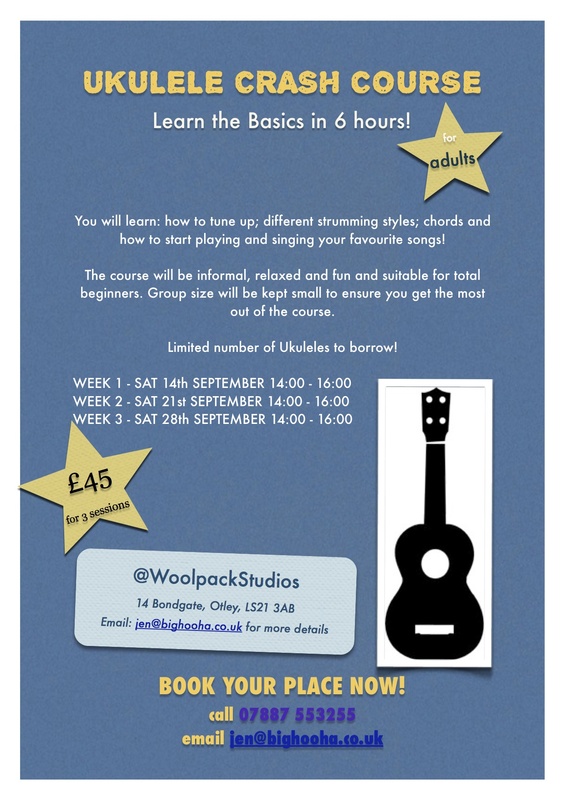 places are filling up fast for this September’s Ukulele Crash Course! spread the word and email me (jen@bighooha.co.uk) to book your place. I will be running more courses throughout the year too.